St. Patrick’s Day always feels like the official start of Spring to me, especially when the weather has been as nice as it has been lately. Hopefully, we’ll have great weather for all the parades and other fun events happening over the next two weeks. Here is a run-down of some fun things to do. This one is for the wee little ones. On March 9 and March 14 at 10:30 a.m., bring your toddler over to the Reston Library to enjoy Celtic music and learn a simple circle dance. It is never too early to foster a love of bagpipes. Cosponsored by the Friends of the Reston Regional Library. For age 9-24 months with adult. I do love a good parade. So on Saturday, March 11, 2017 head to Old Town Manassas to get things started. The parade begins at 11:00. There will be music. There will be dancing. There will be a lot of fun had by all. If you’ve never ventured to Old Town Manassas, plan to stay awhile. It’s a charming place and it will be bustling on parade day. The main parade event: March 12, 2017, Noon to 3:00 p.m. Come celebrate the Nation’s Saint Patrick’s Day with a parade along Constitution Avenue - 7th to 17th Streets NW. 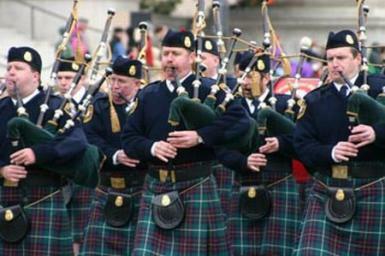 There will be floats, marching bands, pipe bands, military, police, and fire departments. Local Irish pubs also sponsor parade parties featuring Irish musicians, dancers, and singers. Yes, it is fun. Really, really fun. Not in the mood to go downtown for a parade? How about some golf at Reston National? The St. Patrick’s Day Scramble on Sunday, March 12th has a 9 a.m. Shotgun Start. Maybe a 5k race is more your thing? Also on Sunday, March 12 and starting at 8:30 a.m., is the Lucky Leprechaun at Reston Town Center. The 2,000ish runners all dressed in green will run a quick 3.1 miles and then enjoy Irish treats (like Guinness) in the RTC pavilion. Even if you don’t run, it’s kind of fun to cheer the runners on and enjoy the very creative costumes some of them wear. Just about every bar does something on St. Patrick’s Day, especially when it’s a Friday night. There will, of course, be things happening at Lake Anne, which is where I’ll be. However, if you want to explore any one of the actual Irish pubs in the area, just take a look at this list of Irish Pubs of Northern Virginia. With too many options to list, I’ll just leave it at this: drink responsibly and download the Uber app if you don’t have it already. Or walk to Lake Anne… that is always a good choice.